A man and his former girlfriend have been cleared of killing 10-year-old Jade Slack, who died after taking five Ecstasy pills. Rebecca Hodgson, 21, of Jackson Close, Lancaster, and her former boyfriend Wayne Wood, 22, of Highland Brow, Galgate, were found not guilty of manslaughter by a jury at Manchester Crown Court. 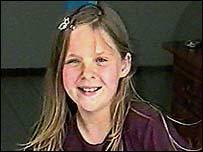 Jade Slack died in hospital after taking the tablets at Ms Hodgson's home in Galgate, near Lancaster, in July 2002. After the verdict the jury learned that Wood had pleaded guilty to four drugs charges. And it emerged that on the afternoon Jade was fighting for her life, Wood had left the house to make a drug deal. The prosecution claimed the couple had a duty to protect Jade from being exposed to the class A drug - which the jury rejected. 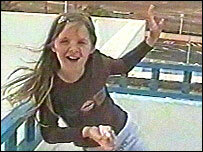 The court had heard that Jade had slept over at Ms Hodgson's house in Galgate the night before she died. Wood had left a cigarette packet containing 35 ecstasy pills under the sofa but forgot to take them with him when he left. He later phoned Ms Hodgson to ask her to move them and to count them. She took them upstairs and hid them behind one of her son's soft toys, but Jade found them and took five. Earlier in the trial, charges of child cruelty against Ms Hodgson and Wood had been dropped. The judge also ruled that alleged delays in calling an ambulance to take Jade to hospital should not be considered by the jury. Outside court, Lancashire Police's Detective Superintendent Ian Jones said he was not disappointed with the verdicts. He said: "I believe that this case will serve to remind the public of the dangers and consequences of the use and supply of illegal drugs. "It is also relevant that Wayne Wood pleaded guilty to offences involving the supply of controlled drugs. "Had he not engaged in these illegal activities Jade Slack would be still alive today." After Jade was taken to hospital, Wood left the house in Galgate to try to contact her father. While he was out, he negotiated another drug deal. Jade's parents, who had followed the trial throughout and who were at the court on Wednesday, released a statement after the case. Jade's mother, Beverley, 37, and father, Simon, 33, said the 14 months since her death had been the "most difficult time of our lives". "It's a nightmare and we never wake up from it. The nightmare is constantly there, every day and every night. "Jade was, and still is, our life. She brought so much love and happiness to us all and everyone she knew. "Always smiling and laughing, never a sad face, but the happiness has been taken away from us. "It puts so much strain on day-to-day life, because Jade has been taken away and it feels like life has been taken from us. "Rebecca and Wayne's parents will always be able to see them, to talk to them and say goodnight. "But we will never be able to do that to Jade, to give her a hug, a kiss or even to say goodnight, to watch television, because that is what we used to do every night. "It hurts so much because we cannot do that anymore. "People say to us 'We know what you're going through'. They may try to understand, but they don't know. "The only people who do know are parents who have lost their children to unforeseen circumstances. "Jade is always in our hearts and minds day and night and that will be never be taken away from any of us. "Jade is and always will be our angel." "Their defence said both had taken the steps to try to protect Jade from the ecstasy"